Football season is just around the corner, and you're going to need a big TV to keep your friends and family happy during those Sunday afternoon parties. 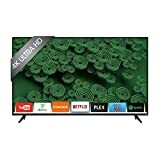 Before you head to your local electronics store or start browsing Amazon, you want to be sure you're choosing a television that has excellent picture quality, great sound and a range of other features. Check out this guide to help you choose the best 65-inch TV. Are curved screens better than flat screens on TVs? Experts say that curved screens don't really add anything to the viewing process. 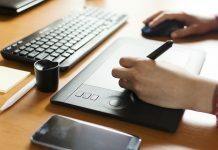 If you are looking for the best viewing process, either screen type works; however, if you want something that most of your friends don't have, go for the curved screen. Can I use my 65-inch TV as a computer monitor? Yes, you can use your 65-inch TV as a computer monitor in most cases. Look for a model that has an HDMI port and ensure your laptop has one as well. This is excellent if you like PC gaming but prefer to do so on a much larger screen. How do people measure TVs? Television measurements are determined by the size of the viewable screen and are measured diagonally. Therefore, a 65-inch television will be roughly 65 inches from the bottom left corner to the top right corner. Although most flat models don't have much in the way of casing, it is important to factor in this measurement as well if you intend to mount your TV to the wall. How do I mount a television on the wall? Mounting your television depends on the model. You'll need a safe, sturdy wall, a mount and some tools. For specific directions, consult the manufacturer's guide for the specific television you buy. 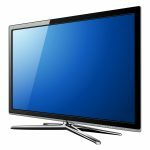 Should I buy an LED or an OLED television? This depends on personal picture preferences. If you watch a lot of programs with dark scenes, OLED offers better black levels. If you prefer brighter pictures, LCD screens have the advantage. Both have good color space. How long is a TV under warranty? Warranties vary depending on the manufacturer. Most manufacturers provide a one-year, limited warranty, which means they will only fix or replace it under certain circumstances. Some brands do offer free lifetime technical support even after the warranty expires. In many cases, you can choose to purchase an extended warranty, which may be a good idea if the reviews for the product are mixed. We wanted to create a well-rounded list that provided TVs in a range of prices and with a variety of features. We started by checking out what experts in the electronics industry think of the latest 65-inch televisions. We then searched for those televisions on Amazon and other authority websites to compare features and check out what people who already purchased the TVs thought of them. From there, we created a list of our favorite models based on features, price, overall design and previous reviews. The overall price of 65-inch TVs ranges from about $800 to $3,500 or more. The budget options are good for your bank account, but they probably won't offer the picture quality that you want. 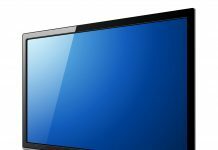 While lower-end TVs are usually HDR-capable these days, they don't have the screens and color displays to truly showcase the HDR, so your picture won't likely look much better than a non-HDR television. The more money you spend, the better the picture will be. Higher-end televisions also typically have better sound options and more smart features. If you're interested in the latest 4K technology but still want to stick to a budget, the TCL 65R617 is a great choice. The screen looks great in both light and dark rooms, and if you like to game, the television offers good handling of motion and low input lag. The TCL 65R617 starts at about $818.98 on Amazon. You can also find it on eBay, Newegg and at Target stores. Sleek and modern, the LG OLED65C7P 4K Ultra HD Smart TV has a completely frameless design that fits into any home decor without taking away your valuable screen space. Hang it on the wall, pair it with the Dolby Atmos-capable soundbar and watch movies as you've never seen them before. The LG OLED65C7P 4K Ultra HD Smart TV starts at $1,698.00 on Amazon. It is also available on eBay. Tech Radar calls the Samsung 65Q9FN the closest TV you can get to perfect. The direct LED lighting means there is no halo vision like in older models, and the blacks are as close you can get to an OLED TV without actually buying one. They also have excellent motion handling. The Samsung 65Q9FN, which starts at around $2,997.99, is available on Amazon. You can also purchase it on Newegg and eBay or in-store at Office Depot and JCPenney. Featuring a 4K HDR Processor X1, the Sony XBR65X850E is the brand's latest design and features real-time image processing that detects every object in the picture and optimizes it for the best color. The smart TV, which is powered by AndroidTV, offers thousands of apps and works with PlayStation Vue. The Sony XBR65X850E starts at $2,796.99 on Amazon. It is also available on eBay and BuyDig, or you can purchase it at a Best Buy or Fry's Electronics locations. A versatile option, the LG 65UJ7700 offers good viewing angles and strong performance for both watching programs and playing games. 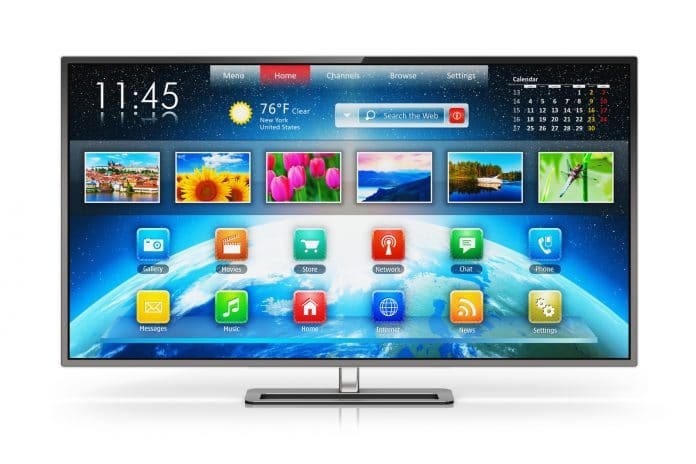 The TV's smart features run on LG's webOS platform and offer quick menus or voice commands to make it easier to use. If you're interested in the LG 65UJ7700, you can find it on Amazon starting at $599.99. It's also available on Newegg, Dell and eBay. Marketed as a mid-priced option for people who want HDR content, the Vizio M65-E0 features a simple design without looking boring. Smart features work with the SmartCast platform and use built-in Google Chromecast. Overall, the TV offers solid performance for the price. The Vizio M65-E0 sells on Amazon for $999.98. You can also find it on eBay, Overstock and Newegg. Another great choice, if you're on a budget, is the LG 65UJ6300. This 4K TV features a 120Hz refresh rate and high-quality LED backlighting. HDR optimizes each scene, and IPS technology creates a strong contrast ratio even when you sit at an angle. The TV runs on LG's webOS 3.5, which offers all the video apps you're used to as well as 70 premium internet channels. Pricing for the LG 65UJ6300 starts at around $999.90. You can purchase it on Amazon, Newegg or eBay, or find it in Best Buy stores. The TCL 65S517 offers a sleek design and a not-so-sleek stand. Even so, it's a solid TV that works well if you don't mind a mediocre stand or if you're planning to wall-mount your TV. Smart functionality includes a range of channels that work via Roku TV, and the edge LED backlighting ensures excellent picture quality. The TCL 65S517 starts at $599.99 on Amazon. You can also find it on Newegg, eBay, Jet.com and Sears online superstore. Based on the company's Quantum Dots technology, the Samsung QN65Q7F features more than a billion shades and 100 percent color volume to give viewers the best picture possible. A 240-motion rate means action movies, sports content and video games are without error and the 360-degree design looks elegant no matter where you sit to watch. The Samsung QN65Q7F is available on Amazon for Check on Amazon. It is also available in Walmart and JCPenney stores. If you want a truly excellent 65-inch television, expect to pay at least $1,000. For this list, we still consider that a budget category, of which the TCL 65R617 fits into. This is the perfect option for a gamer on a budget or for a family that has some members who watch TV in bright rooms and others who prefer darkness. The TV performs well in both. If you already know that you want to spend a couple of grand and that you'll be mounting your TV, the LG OLED65C7P is the best choice. The picture is high in quality, and it comes with a soundbar that will blow your socks off. If you're just looking for a basic choice and are more worried about the size of the screen than the crispness of the picture, the LG UJ7700 is good for the lowest of budgets. Just remember, LG's smart features include ads, an aspect that many consider problematic. No matter which 65-inch TV you decide is right for you, do your research first. The prices listed may change, which means you could find the same TV for a better price elsewhere. Reading reviews to see if people end up having problems in the long run, can prevent you from purchasing something that will become a dud. Finally, keep your receipts and warranties just in case you do come across a problem.